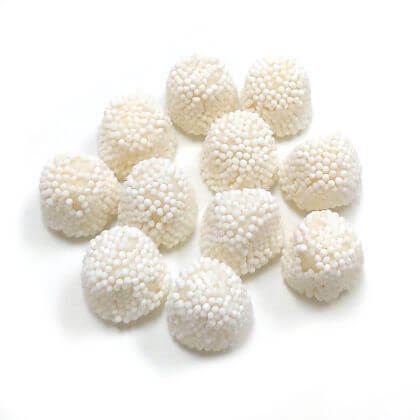 White grape soft gummi drops with a hint of champagne flavor (no alcohol), covered with white candy seeds. From Jelly Belly. 7 oz. Approx. 15 per oz.